There’s no room to swing the cat in your kitchen, so the dish drying rack over the sink might be the best choice for you…Or, you’ve got plenty of room and you feel like go impetuously with a compact dish rack, in black, for a more elegant look of your kitchen. Now that we know that your cat doesn’t fit in your kitchen, we’re gonna let it out of the bag and even tell you about the dish drying rack that have such a low profile that you can barely notice them around. Feelin’ eco? Well, there are options for you too- the dish drying racks made from natural materials will not only satisfy your spirit, but they will also disappear in a second, when in need of extra space. Yes, we’re on the same page. Here’s our top 10 for best dish drying rack! Therefore, you do have plenty of dishes typically (you like cooking for your friends), you have also some wine glasses…No worries; there are dish drying racks that are quite big, having space for your wine glasses also. On the other hand, you’re the straight, no complications, neat kind of person who feels comfortable with a simple, smooth slim wire dish drying rack…you will find one, for sure! Small enough to fit in ½ of your sink, yet still very efficient, the ClosetMaid Over The Sink Draine is one little helper for your kitchen. The ergonomical design of the drying rack recommends is as a great choice for any kitchen. The drying rack has a rather small foot print so it frees up your counter space. The drying rack easily fits into most sinks and has a good built. It holds pretty well silverware, dishes, glasses, and vegetables. It may be a great solution for drying some large items as well. When we talk about its looks, we notice the vinyl coating that makes the drying rack nice looking and long lasting too. 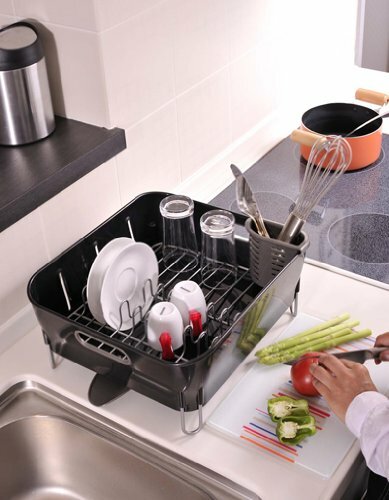 The drying rack drips directly into your sink, minimizing the mess you typicaly get when drying up your dishes. Versatile, durable, easy to load and use, the drying rack is a great option for any low budget. The minor issues aren’t deal breakers for us and the drying rack truly makes it as a great bang for your buck. 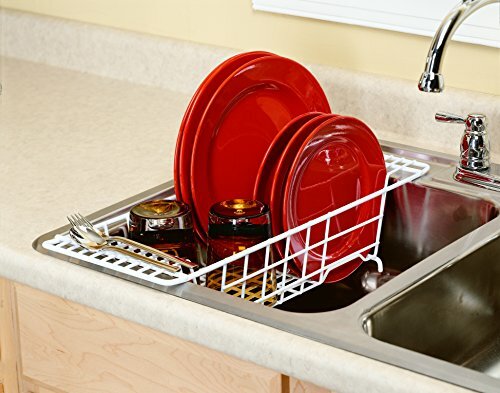 For the larger sink, a reliable and nice looking option as dish drying rack is the Rubbermaid Antimicrobial Dish Drainer, Large. The drying rack brings many good things on the table and its very deep built gives you great capacity when drying the dishes. 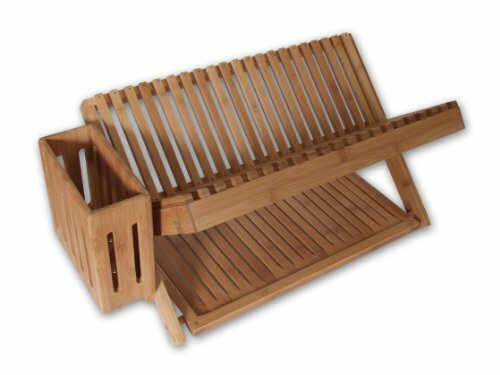 The rack comes with built-in Microban so it’s antimicrobial and is therefore protected aganist the growth of stain and odor-causing bacteria. We also like the rack as it features coated wire cushions, protecting both your sink and your dishes. The rack has a strong built and holds several dishes, even stoneware, with no worries for their safety. The silverware cup on the rack is functional and detachable, giving you more space for plates when in need. The plate holders are angled so that you separate your China and get faster drainage. The deep slots on the drying rack have a great design and the rack fits almost 13 dishes at a time. We can’t overlook the nice appearance of the drying rack and its sturdy built. The drying rack has a great size and fits so many sinks. The drying rack has a good balance and it’s easy to clean. The low price may be the final touch for many out there. No matter the small issues, for the capacity, good build and anti-microbial abilities, the rack is a good deal anytime. 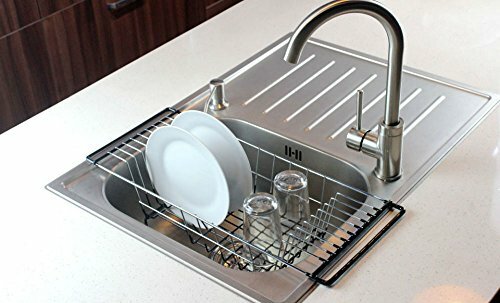 When in need for an over-the-sink dish drying rack, get a reliable and nice looking one like the Over-The-Sink Kitchen Dish Drainer Rack. We like the drying rack for many things and its looks and built are some of the most important assets. In order to understand our opinion, don’t hesitate to throw an eye on our description. The drying rack impresses with its chrome finish that brings an elegant and stylish vibe to your sink and kitchen. The elegant finish combines very well with the strong built of the rack that is strong enough to hold multiple dishes. The design of the drying rack is well thought-out and the color coated wire base protects your sink from any scratches. Not to mention it also looks nice. The drying rack has a good size and fits most sinks. Its slim design is highly functional and versatile and the rack is a great choice for a small space. The tough built of the drying rack keeps it safe and secure over your sink even when fully loaded. The minor issues aren’t deal breaker for us and the drying rack remains a dependable option to look at when in need. Versatile and easy to use in so many situations, the Prepworks from Progressive International CDD-20GY sure stands out from many options with its design and efficiency. The drying rack has an innovative collapsible design and you may expand its arms from 16-1/2 to 26-3/4 inches. Therefore, no matter the size of your sink, the drying rack is efficient and does a great job. The drying rack vertically collapses also vertically (to 1-1/2 inches high), so you easily solve the storage problem. 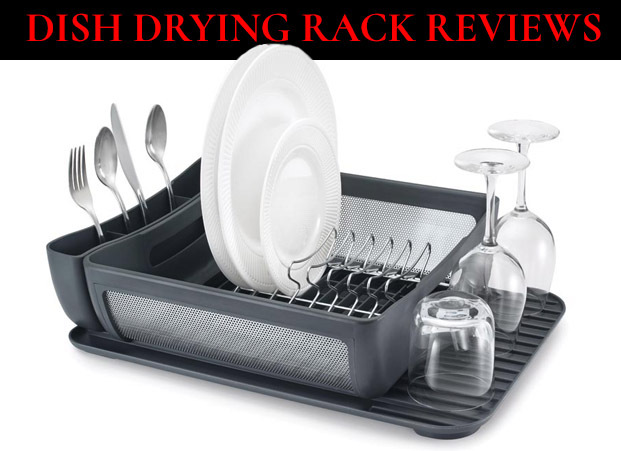 The versatility of the drying rack is great and we also need to mention the silverware tray that is removable. The drying rack is compact and makes it a great choice especially for the smaller kitchen, that are always in need for functional space. The rack has a good, strong construction and may hold up to 8 plates. It’s made of polypropylene and TPE and you may easily clean it in your dishwasher. The drying rack is easy to open/close and it’s a great asset for any kitchen. 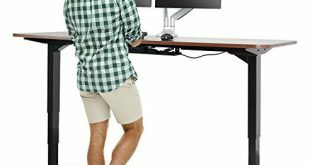 It’s lightweight and requires minimal assembly. Nevertheless, for a fair price, you get a versatile, depandable and compact drying rack that serves you well in so many situations. If you find yourself struggling with the space on your counter top, get an easy solution to your problem by using an efficient, not-that-big drying rack like the Simplehuman Plastic Compact Dishrack. The design of the rack is special and the spout rotates 360 degrees to drain, from any direction. The looks of the rack are also important and the drying rack has an elegant appearance, especially in black. It’s very easy to put together the drying rack and to use. It’s easy to clean as well and the rack is dishwasher safe, taking the cleaning problem off of your mind. The soft coated steel wire is an important detail on the rack, minimizing risk for scratching or chipping. The drying rack has a good built and it’s rust proof. It’s well made and fits a lot of your dishes. 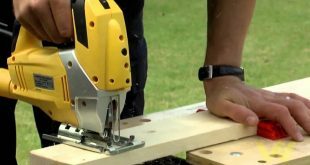 It handles also full-size plates and it’s highly functional. We like a lot the water draining mechanism and the impressive warranty of the rack (5 year). The compact shape of the rack makes it a good choice for any limited counter space. The drying rack has a good balance and it’s so easy to clean. Let’s not forget the price that is great for the quality you get. The minor cons aren’t deal breakers though and we still see the SimpleHuman Plastic Compact Dishrack as a fair buy anytime. Foldable and so functional in any kitchen, the OXO Good Grips Convertible Foldaway Dish Rack is a dependable option that only comes with some little drawbacks. The drying rack is made with stainless steel and it has a durable, sturdy built. The design is very smart and the plate rack actually folds down so that you may easily fit some large bowls, cookware and other large items. 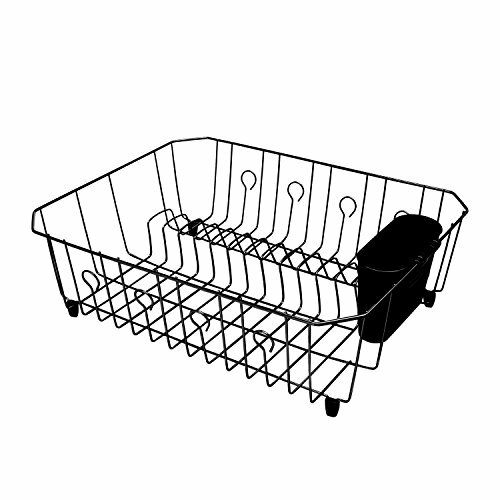 The legs of the rack also fold out so you may elevate the dish rack, whereas the spout opens, draining straight into your sink. The tines sustain rather well cups or wine glasses, so the drip on your counter is minimal. We also like the rack for the removable utensil holder that fits your spoons, spatulas or other cooking utensils. In addition, the utensil holder is easy to clean in your dishwasher and it’s divided for better organization of your items. The sidewalls, legs and spout fold for easier standing storage. As a matter of fact, the rack folds so compact that you barely notice its presence in your cabinet once it’s folded. The rack is lightweight, easy to clean and to drain. It offers plenty of space for your cutlery and it’s so versatile. It has a modern, yet classical look and minimizes mess in your kitchen. Metal to the pedal, we still like the rack for its versatility, compact shape when folded and multiple options when in use and barely notice the minor drawbacks. For those of you who only go for natural materials in the kitchen (for various reasons), a great healthy option is the Totally Bamboo Eco Dish Rack. The drying rack is made of high quality bamboo so it’s going to last for quite some time. 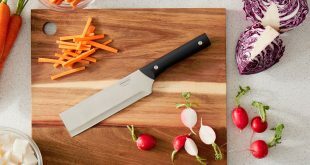 The high quality bamboo brings also a sturdy built and a rugged construction that is able to handle so many dishes. The design of the rack is well thought and it includes 2 side racks for pots, pans, glasses or any large utensils. The rack is also easily collapsible so you solve the storage problem within seconds. The drying rack impresses with its size and big capacity. It’s great for the large plates and holds so many items. It’s very well made and even if you feel like paying the extra buck for it, it’s totally worth it. As for the looks, nothing looks prettier than bamboo, no matter the style in your kitchen. The timeless appearance combines very well with the strong built of the rack, for sure. We’re not that picky either when it comes to bamboo drying racks and, for the money you pay, we’d say it’s a good investment of your money. Once you get a bamboo dish drying rack, it’s impossible to recover and go back to plastic. That being said, the more you pay, the more you get and the Island Bamboo Dish Rack doesn’t disappoint on many levels. The drying rack has a two-level design so you need to give a thought on how many dishes you have to dry in the first place. 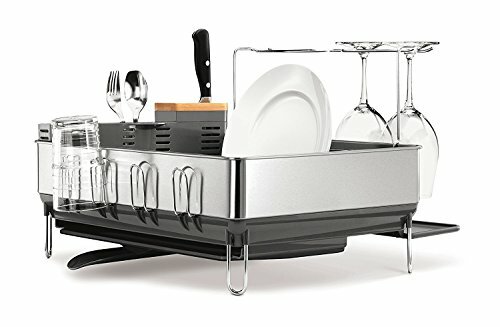 The rack has a solid construction so it takes multiple dishes at the same time. Additionally, the dish drying rack takes the intense use, for a very long time. Not only bamboo is supposed to be 16% harder than popular wood (oak/maple), but also it’s also naturally anti-microbial- so no worries about bacteria building up. The design of the rack is great as the rack is also collapsible so you don’t need to worry for storing the rack. The rack is quite large and fits comfortably dinnerware, flatware, cutting boards or serving pieces. The top rack keeps the plates upright for fast, easier drying, whereas the bottom level is for the cups or other serving pieces. 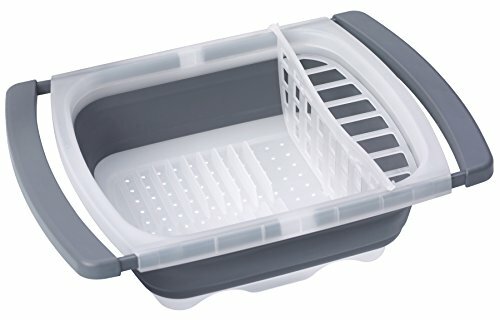 The flatware caddy is easy to remove for fast cleaning. The rack also includes a removable utensil holder, increasing its versatility. The drying rack is quite tall and very stable. It offers so much space for drying and holds up so well over the years. 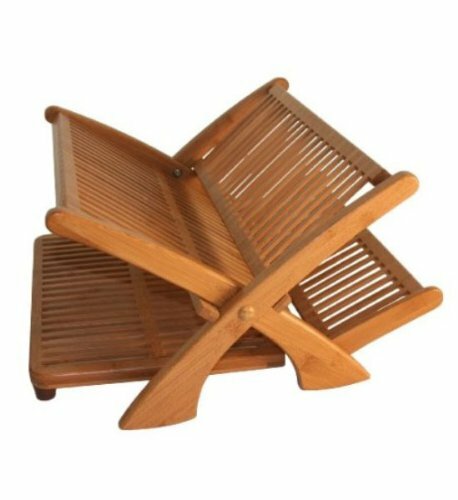 No matter the minor drawbacks, we’re still determined to see the bigger picture: a large, rugged, long lasting and well-made bamboo dish drying rack. When you are ready for the next level on dish drying rack, get ready to chip in and get an impressive rack like the Simplehuman Steel Frame Dish Rack. You’re not only paying for the materials, but also for the great and sophisticated design that manages to be so functional, not only nice looking. The drying rack stands out with several features and the innovative drainage system is one to begin with. The drying rack keeps in fact water flowing into the sink and not onto the countertop, which explains the efficiency. The spout on the rack pivots to drain water directly into your sink, whereas the anti-residue coating keeps at distance residue buildup. It’s impossible not to notice the wine glass holder (for 4 very large wine glasses) that lets you hang upside down by the stem the glasses, for fast drying, no water spots whatsoever. The drying rack presents also a fingerprint-proof finish so takes smudges rather well. The stainless steel remains nice and shiny for a long time. Additionally, the steel frame brings such a modern vibe to any kitchen. The list of great features continues with the extendable drip tray and the natural bamboo knife block. You knives are protected and the bamboo warms up the metal look of the drying rack. 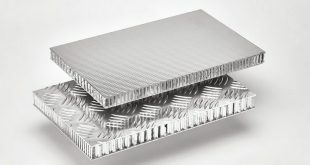 The hydrophilic coating on the plastic tray helps the water spread for faster drying, with minimal risk for residue buildup. 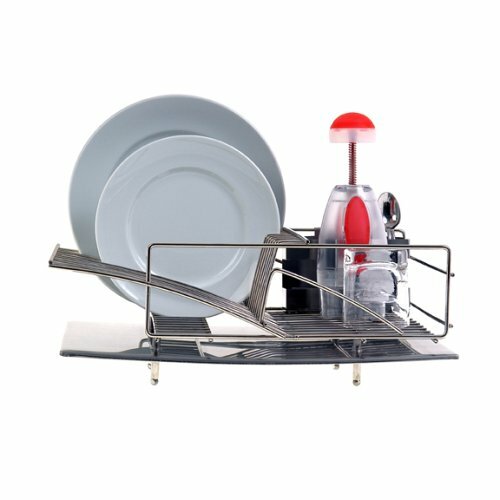 The utensil holder and the inner wire frame are easy to clean in your dishwasher. The smart design, the extra room and the flexible construction make the drying rack a really smart investment for any modern kitchen. No matter how you put it though, the rack still brings way too many great things that make it a great, modern option to consider. It’s all clear for all of us: with high price comes high quality and the Zojila Rohan Dish Rack fits the bill, for sure. The drying rack stands out not only with its modern design, but also with its impressive functional features. The rack is made with high quality 18-8 stainless steel that is rustproof. The 3-piece designed is efficient and the brushed finish drain board combines so well with the polished rack. The drainage system on the rack is essential for its value and the rack is self-draining, not collecting any water. The curved side is 18 inch long and lines up with your sink, for instant drain to your sink. You may use the raised legs so you get the overhang it on your sink. 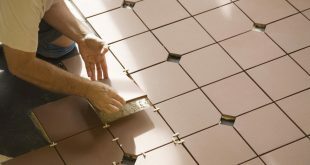 The legs feature protective covers that minimize slippage and scratches to your counter top. The design of the rack makes it versatile and you may place it on left or right side, as the rack is reversible. The cutlery holder is enclosed all around and features a removable divider. 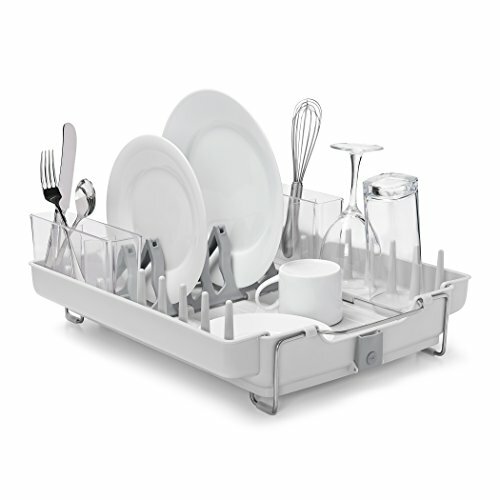 The capacity of the rack is great as it holds up to 13 dishes, 8 tumblers and more than 50 cutlery items. You may also fit some pots and pans onto the rack. 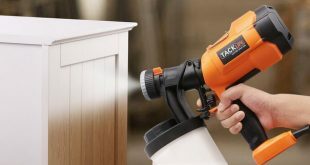 The rack is easy to clean and doesn’t rust. It has a sturdy built and doesn’t flip over. The issues aren’t deal breakers for us and we still see the drying rack as a versatile, rust-free, long lasting and efficient option any given day. Next Stay Away From Bacteria This Winter. Check The Symptoms.